The hand-held or bench top mountable Bondwand employs a built-in, variable exposure timer of one, two, and three minute intervals as well as continuous and is an ideal equipment choice for research and low volume production applications. The Bondwand delivers 10mW/cm² of controlled ultraviolet energy at a peak wavelength of 350nm or 450nm. 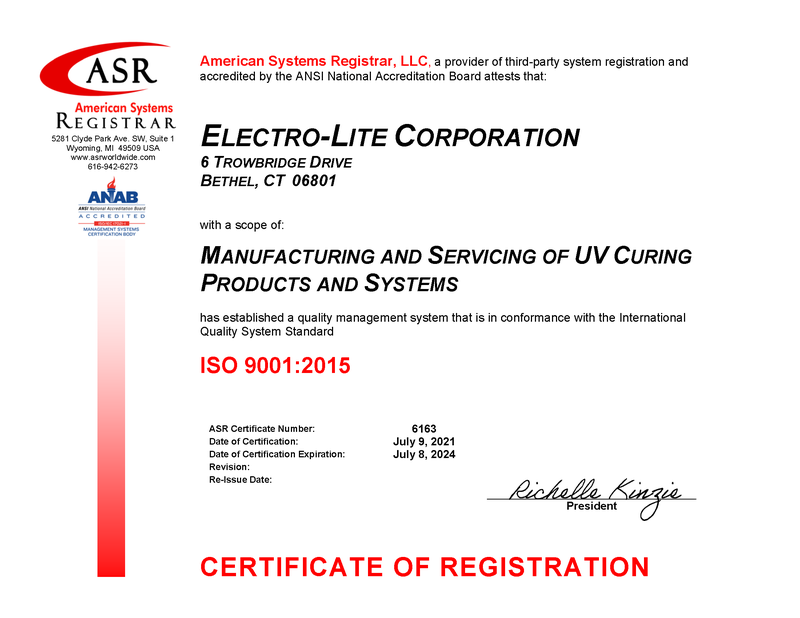 The curing frame allows the EC-4001 UV Curing System to be used for lab R&D, process development and low volume manufacturing. 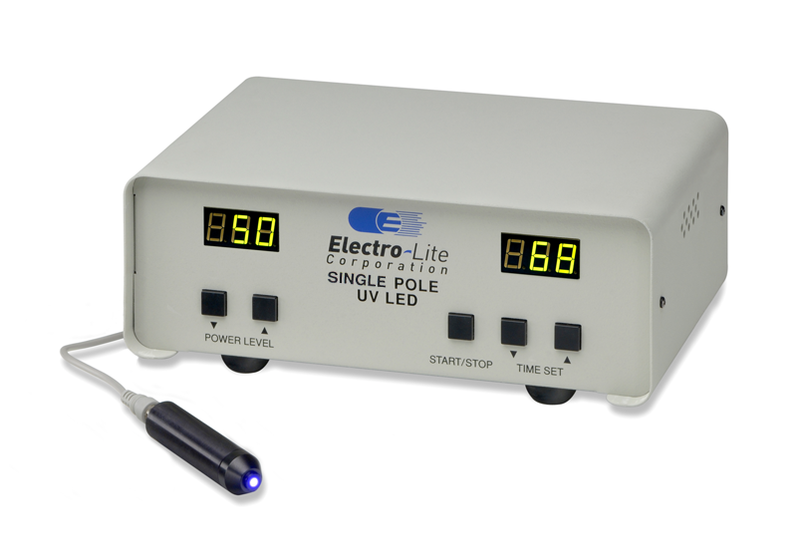 The EC-500 UV Curing System is a completely contained, operator safe, chambered light exposure system. The system is available at 350nm 450nm or black light at 30 mW/cm². The EC-500 system features a digital countdown programmable timer, power down mode, and an audible end signal. The system also features a clear rotating turntable and clear shelf enclosed in a highly reflective exposure chamber that maximizes completely full exposure. Similar to the Bodwand in design the hand-held FluoroTek inspection lamp uses a black light to detect fluoresces in adhesives and laminates used for bonding and conformal coating. To assure complete coverage of conformal coatings on boards, catheters or any bond area before curing simply expose the area with the black light.